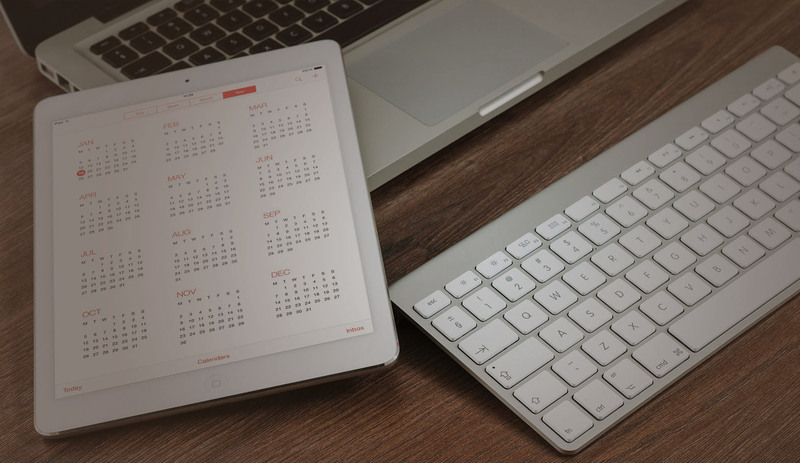 These are the 10 most important website do’s and don’t to create a great website that actually generates sales for your business. 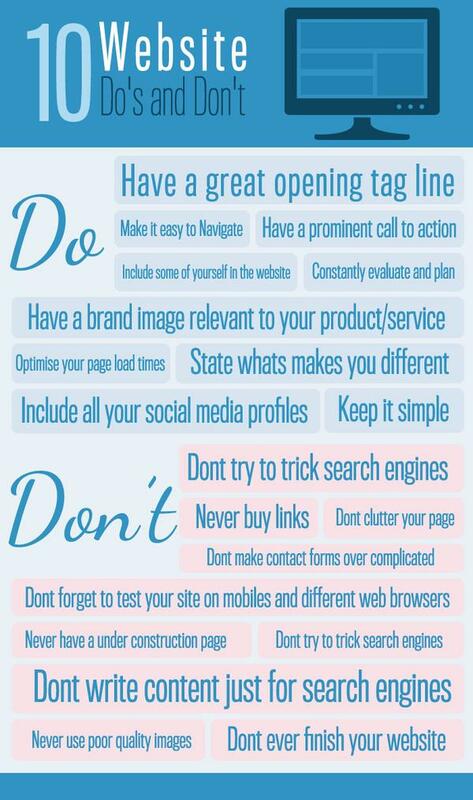 10 Website Do’s And Don’t To Get Your Website Noticed. Do These On Your Site. Have a great opening tag line, your tagline should tell people what your business does and what makes you different from the competition. State whats makes you different, tell people what makes your business different why should they buy from you. Have a prominent call to action, make it easy to buy or contact you make the first step in the purchasing process as easy as possible. Include all your social media profiles, if your active on social networks use follow and share buttons on your website but keep down the links to your social media profiles, you work hard to get people to visit your website don’t loose them back to social media. Include some of yourself in the website, tell people a bit about you, its better to buy from a real person than it is a inpersonal company. Constantly evaluate and plan, keep track of whats happening on your website with an Analytucs account. See what works and what doesnt and adapt your plan to it. Have a brand image relevant to your product/service, make your brand relevant to what your selling. Optimise your page load times, fast page load times will not only help you rank higher on search engines, people dont want to wait while a page loads. Make it easy to Navigate, keep your site navigation simple sometimes less is more. Keep it simple, make you website as simple to use as possible use the Grandma Test (get an non computer literate person to test your site). Dont These On Your Site. Dont try to trick search engines, search engines will find out and you will permenatly damage your reputation on all search engines. Dont use images that dont represent you, it a pet hate but generic images of people who don’t work for your business can be spotted a mile away use your real staff. Dont write content just for search engines, write your content for people to read and adapt it for search engines with keywords. Never buy links, there not worth it and can actually damage your ranking on search engines. Dont clutter your page, clutter loses people interest and gets in the way of the sales process keep your site neat and tidy. Never have a under construction page, if a page is not ready to “Go Live” don’t put it live it will make your site look incomplete. Don’t make contact forms over complicated, no one wants to spend hours just to send you a question keep it as simple as possible. Dont forget to test your site on mobiles and different web browsers, make sure your website works on all browsers, tablets, and mobiles. Never use poor quality images, always use great images that arent pixalated. Dont ever finish your website, your website should be constantly adapted and updated, keep it fresh and give people a reason to come back to the site. If you have any website do’s and don’t please feel free to share in the comments below. 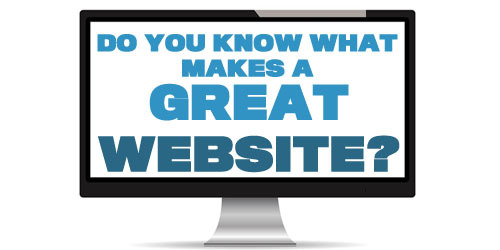 If you need help with your website please feel free to take a look at what we can do.